In a new interview with Tracy Smith on CBS Sunday Morning on Sept. 16, Carrie Underwood revealed that she suffered three miscarriages before becoming pregnant with her upcoming child. Carrie and husband Mike Fisher are the parents of son Isaiah, 3, and are now expecting their second bundle of joy. But as Carrie told Tracy, 2017 and 2018 have been full of personal hardships. Carrie revealed that creating her new album, Cry Pretty—including the lead single—has been therapeutic for her. As Carrie prepares for the birth of her second child, she says God answered her prayers when she thought she suffered a fourth miscarriage earlier this year. “And for the first time, I feel like I actually I told God how I felt. And I feel, like, we’re supposed to do that. That was like a Saturday—and the Monday I went to the doctor to, like, confirm, another miscarriage. And they told me everything was great! Cry Pretty is available now. Carrie will embark on a new tour with Maddie & Tae and Runaway June in spring 2019. 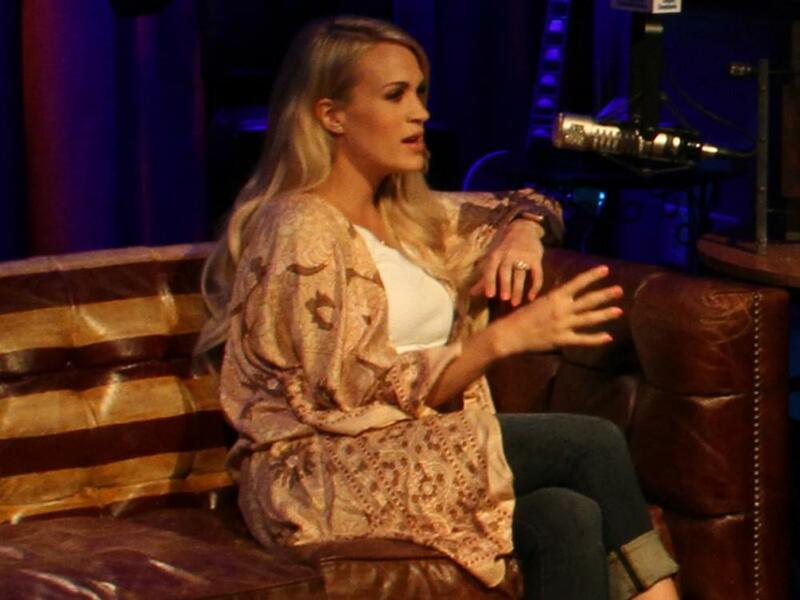 Watch Carrie’s Sunday Morning interview below.